For many Filipinas, this particular body part has been the focus of many insecurities. From color and texture, to the presence of hair or odor, maintaining “nice” underarms is something that we’ve admittedly obsessed over at some point of our beauty-loving lives. We’re more aware about not needing to conform to traditional standards for beauty now, but that doesn’t mean we’ll stop caring about our kili-kili completely! It still needs proper care and maintenance for basic hygiene, so I’ve put together a guide to tackle every pit concern. Let’s go! Your axilla or your armpit has a specialize sweat gland called apocrine gland, which is also found in your perineal or genital area. These glands secrete a special kind of sweat that’s different from what the rest of you body produces. In addition to water and salts, the apocrine gland also secretes organic compounds that, when combined with the moist and warm environment of underarms, makes it very easy for bacteria to grow. Yep, that funky body odor is caused by bacterial growth! Conventional wisdom teaches us to slap on some deo to make the smell go away, but this doesn’t actually address the root of the problem. Deodorants generally use fragrance to mask the smell of BO with a stronger scent, but since it doesn’t actually remove the bad odor, the two scents can just mix together and make you smell even weirder. Our secret to effectively getting rid of BO and preventing it from forming in our pits? Acids! Acids like the CosRX AHA Whitehead Power Liquid (P850 from theskincarecurator.com) or In Her Element Glow Job with 5% Glycolic Acid (P775 from inherelement.com) can be used to lower your kili-kili skin’s pH. Just like your face, if the pH of your kili-kili is too basic or high, it will become a good environment for bacteria to grow. I know it sounds crazy but it really works, plus it gently exfoliates the skin to smoothen texture and help prevent ingrowns. I recommend applying a small amount once a day right after showering, then letting it dry or absorb before putting your clothes on. Let’s get one thing clear: sweating is a natural function that your body does to keep cool and prevent from overheating. There is no topical treatment that can permanently stop us from sweating, but did you know that tawas is actually an antiperspirant? Also known as alum, it supposedly works by temporarily blocking off your sweat glands, therefore making it difficult for the sweat to come up to your skin surface. Sounds neat, right? Before you start sprinkling on that tawas, know that you need to apply it with care! Alum can cause skin irritations so make sure to check on a small area first to see if you have any negative reactions. Don’t use it on the same day as when you shave, wax, or have any sort of underarm hair removal. Make sure to apply on clean and dry underarms, not already sweaty ones! It’s actually best to apply this at night, when your sweat glands are usually less active, then just wash it off in the morning. You’ll know notice that some deodorants also incorporate antiperspirants and vice versa. You don’t really need to use any but if you are so inclined, choose a formula with low alcohol and fragrance levels. This decreases the possibility of irritation which can actually cause darkening of your pits! Because sweating is a natural condition, you don’t really need to use an antiperspirant but some people are more pawisin than normal. If you sweat heavily even in a very cold environment or without engaging in any physical activity, you might have a condition called hyperhidrosis or excessive sweating. It can be generalized hyperhidrosis (all over the body), or focal hyperhidrosis (usually on the palms of the hands and soles of the feet or the axillae). Hyperhidrosis can happen just because, or be a secondary symptom of a disease, or a side effect of medicinal intake. If you think you may have this condition and it affects your quality of life, we highly suggest going to a doctor for a check up and further medical management. You may also consider professional treatments such as No Sweat, a non-invasive sweat reducing treatment offered by Strip Ministry of Waxing. It can be used to target the sweat and odor glands in the underarms, hands, and feet to decrease sweating and body odor. Intermission: Should you be afraid of antiperspirants? Finally, we’ve said it before and we’ll say it again: parabens have not been proven to cause cancer so do not let yourself be taken by fear-mongering. If you still feel wary, you can skip using antiperspirants completely, or just apply every other day instead. It makes sense to want for your underarms to be the same color as the rest of your body, but skin darkening can actually occur as a result of our own misguided attempts. While it’s possible that hyperpigmentation is caused by a disease, the usual reasons why the UA area can darken are because of improper hair removal, irritation from products, and the lack of or overexfoliation. Because the area is “hidden”, some people tend to not scrub their pits properly, leaving dead skin to build on the surface. On the flipside, the kili-kili conscious might rub the area too hard or too much that it becomes irritated. Remember, increased friction can also cause darkening! Treat your pits with love and stick with gentle exfoliation options such as acids, which have the added benefit of controlling odor. If you prefer a physical scrub, I swear by Korean Italy Towels (available from Korean groceries) which have also helped me manage chicken skin. Contrary to the suggestion of many beauty hacks, please do not rub pure calamansi directly to your pits in the hopes of whitening them! The acid from calamansi can actually burn your skin because it’s too acidic, and the damage can cause long-term darkening. For an instant yet gentle whitening alternative, Shirowaki Hime (P795 from shop.beautyboxcorp.com) is a skincare/makeup hybrid for your pits. It is formulated with fruit acids and hyaluronic acid to provide gentle exfoliation and moisture, and has a tone up effect that minimizes the appearance of your pit’s discoloration. I simply apply a pea-sized amount to cover the dark area, wait for 10 to 15 seconds, then rub off the excess cream! The effect washes off with your bath, but continuous usage can improve your skin’s appearance over time. Here’s how the Shirowake Hime works on my underarms immediately after application! 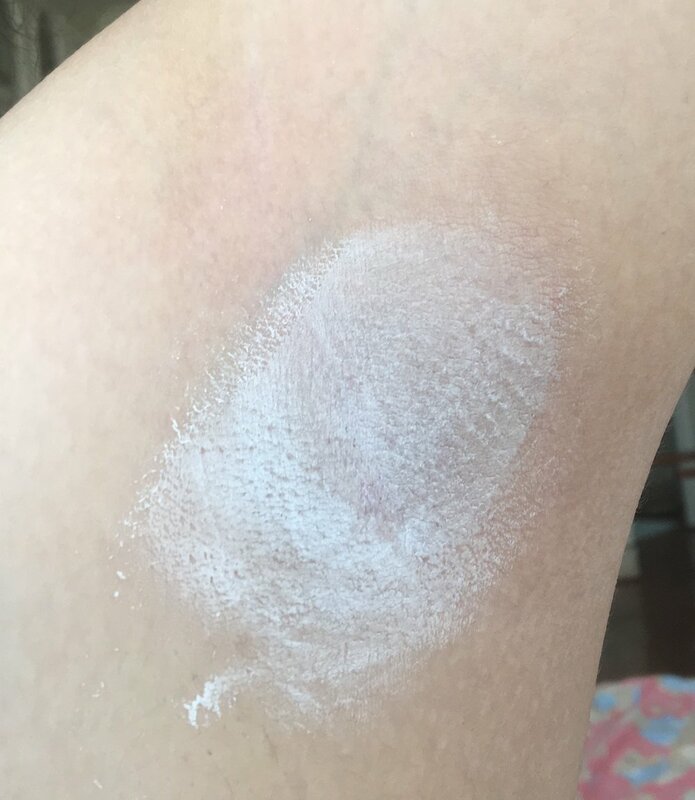 There is also have a body version of the whitening cream called Shiroashi Hime (P895 from shop.beautyboxcorp.com) which I use when I wear sleeveless clothes. I have weird tan lines due to the constant sun exposure while commuting so my forearms look darker than my upper arm. The Shiroashi lotion acts like body makeup to even out my overall skin tone. Not quite underarm care but if a commuter tan is one of the things preventing you from enjoying sleeveless tops, you may also find this product useful! The arm on top shows my commuter tan, while I applied the Shiroashi Hime to the arm below! Here at PV, we’re all for embracing body hair. We believe that the choice to remove armpit, bikini, upper lip, and leg hair should be a personal one rather than conformity to societal expectations. But here is an undeniable fact: choosing to keeping your pits hair-free has an effect on all the other color, odor, and sweat issues. If you use deodorants or antiperspirants, having underarm hair can affect the product’s performance since the hair can hinders the product from sticking to your skin. Hair also contributes to keeping the underarm area moist, so it becomes more susceptible to bacterial growth and developing a strong body odor. Should you to decide to go hair-free though, it’s very important to do so properly as improper hair removal can cause skin trauma and underarm darkening. Shaving may be the easiest and fastest way to remove hair, but it is actually the worst hair removal option for underarms. The blade simply cuts the hair from the hair shaft, leaving dark hair under the hair follicle and creating a discolored appearance. You might also nick or cut the skin, which causes further skin damage and presents the risk of infection. Plucking and waxing use a similar method of pulling the hair shaft from the root, which results in a neater appearance and makes hair regrowth a lot slower than shaving. While plucking is cheaper (all you need is a pair of tweezers! ), it is time-consuming and often more painful than waxing because the hairs are pulled strand by strand. If this is your preference, it’s best to pluck after showering with warm water as this softens the skin and makes it easier for the hair to be plucked. Do not pluck more than twice a month. I personally prefer to have my hair waxed, which pulls all the hairs from the roots in one swift motion. It gives me the smoothest result out of three non-permanent hair removal options, plus it also lightly exfoliates my underarms, too. You can DIY with a wax kit or a homemade sugar wax but whichever you choose, be sure to pull in the direction of the hair growth. You can wax about once a month, or as soon as the hair is long enough to be gripped by the wax. There is a downside to both shaving and plucking/waxing. Ingrown hair is my personal top kili-kili concern! The most common cause of ingrowns is improper exfoliation after hair removal, when dead skin cells block the exit point of the hair follicle and cause it to get trapped under the skin. It also happens when shaving causes the leftover hair to have a sharp edge and it starts growing sideways into the skin. To prevent ingrowns, it’s important to exfoliate the area a few days after hair removal and regularly as the hair grows back. As with dealing with dark underarms, I use both physical exfoliation (with a scrub) and chemical exfoliation (with skincare acids). 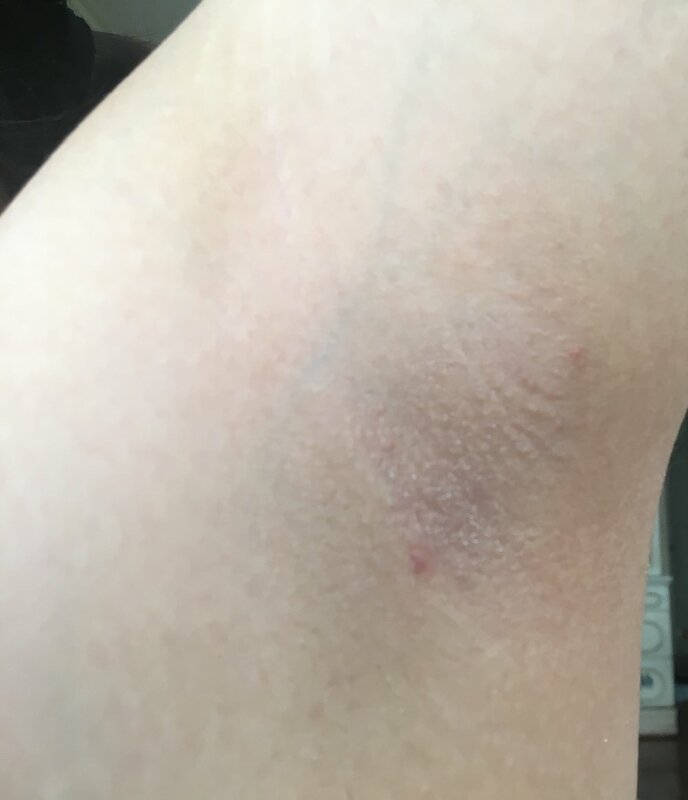 Since I started doing both, I’ve significantly decreased the incidents of ingrown hair in my axillary area! My usual combo is a Korean Italy Towel and the In Her Element Glow Job with 5% Glycolic Acid. Of course, if you never want to deal with hair again, LASER is the most common permanent hair removal option. These professional treatments are much more pricier than the other options but it does offer the best and most long-lasting results. It’s worth saving up for this splurge! So, there you have it! There’s really more to underarm care than most people realize, and I hope this guide helps you raising those arms up with confidence! Do you have more kili-kili tips to share? Let us know in the comments!